The 5V relay connected to D5 pin of NodeMCU goes ON when D5 pin is set LOW and relay goes OFF when D5 pin is set HIGH. D5 pin of NodeMCU connects to IN1 pin of 5V relay. 3V3 of NodeMCU connects to 3V3 powers source and GND to GND. Vcc of relay connects to 5V source and GND to GND. Live wire is connected directly to appliance. Neutral wire from source comes to relay NC pin and another wire goes out from COM pin which is connected to the appliance. Technically, we are connecting our switch on the neutral wire of the appliance, which is turning ON/OFF the appliance. Simple! 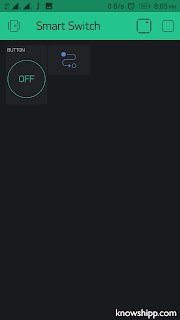 Tap on the screen and add a Button. 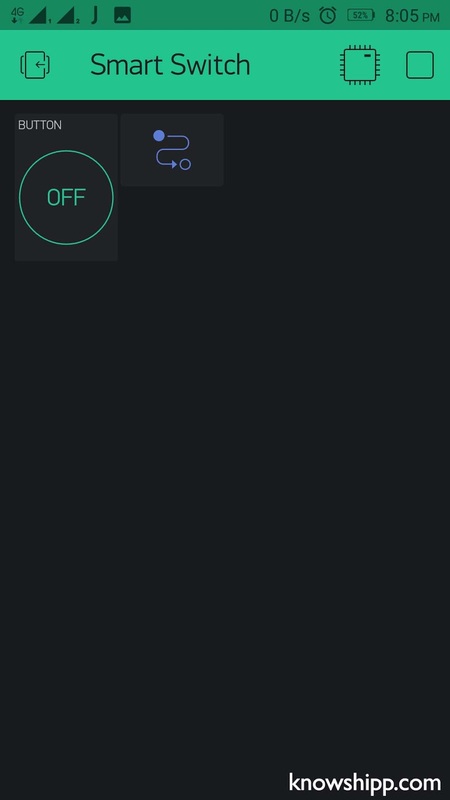 Tap on the Widget and select D5 pin, then change MODE to SWITCH. Code:We have completed the circuit and set up our BLYNK. Let's do some coding. Make sure to change the AUTH_KEY, SSID and PASSWORD before uploading the code to NodeMCU. 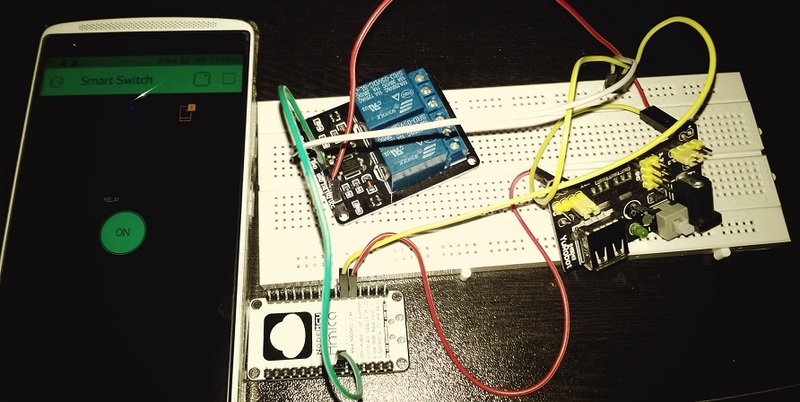 Connect NodeMCU using the MicroUSB cable and upload the code using Arduino IDE. Once uploaded, click Play button on the BLYNK app and start turning ON/OFF your devices from anywhere in the world. Oh Yeah! That's it for now, Shippers. See you in the next awesome IOT project.